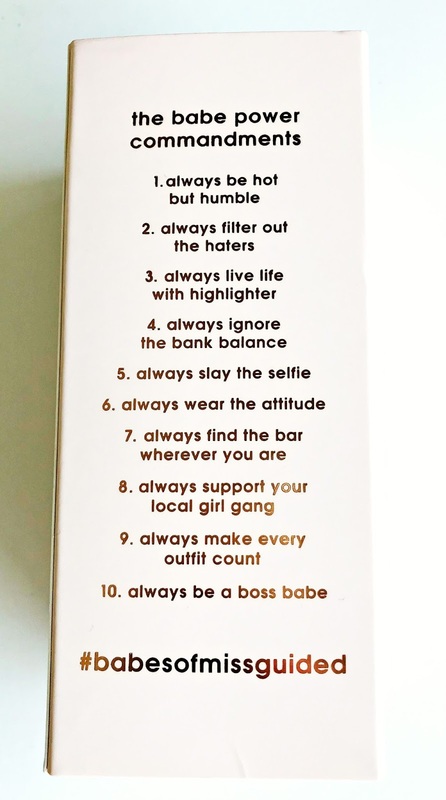 On the side of the box, are the 'Babe Power Commandments', which are to be taken with a pinch of salt but anything that promotes positivity and self-belief, in whatever form, can only be a good thing. 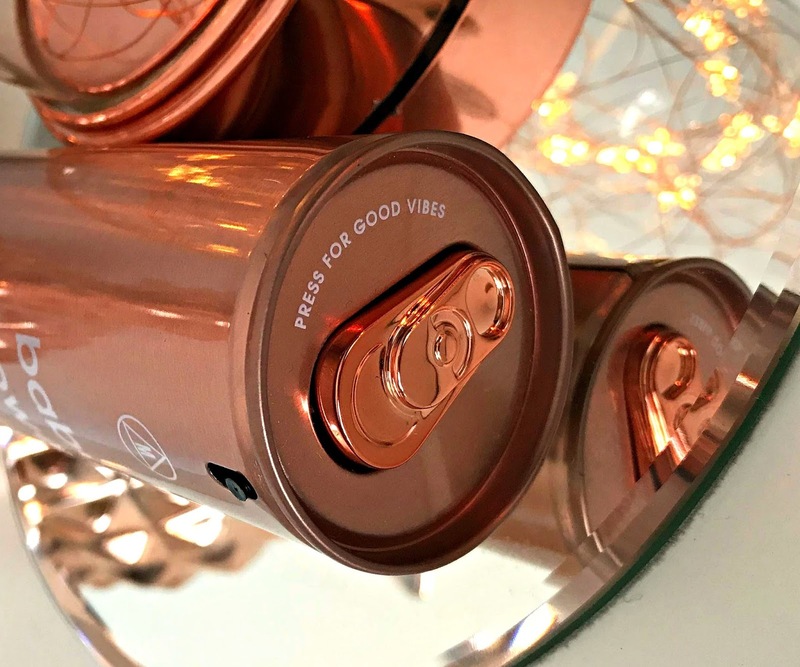 The bottle itself is a rose gold chrome can with a ring pull on top that you press to release the fragrance - I like it - it's different and you don't have to worry about a nozzle breaking! The fragrance itself is pretty warm but not in an overpowering way. It is musky, sweet (but not sickeningly so) and feminine. The top notes include sour cherry, crisp apple and grapefruit zest, among others and the heart and base notes include peony and jasmine, vanilla, amber and musk. It has really surprised me because, before trying it, I assumed it would be targeted at teens and young adults and would be too sweet for my taste, but I love wearing it and I can't remember the last time I had so many compliments on a perfume. It lasts pretty well on the skin, as it's an Eau De Parfum - I can still smell it around 6/7 hours after applying. At £28 for 80ml, this is really good value. 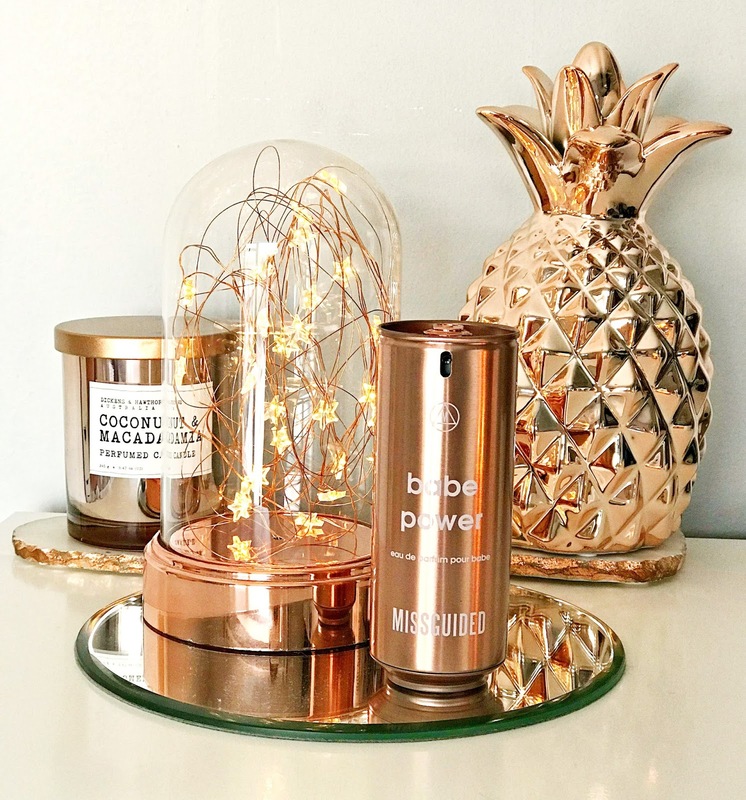 You can buy it directly from Missguided on their site or from Superdrug. What was the last product to surprise you? I'd love to hear in the comments below! All products are bought by me, unless otherwise stated. This perfume was kindly sent to me. Opinion is always my own.